Wattage: 3 W, 6 W, 9 W, 12 W, 15 W, etc. With the help of our dexterous team members, we have been able to manufacture and supply a wide range of Fountain Lights. These lights are extensively acclaimed as a most economic and energy saving lighting solutions. Flexiglow Waterproof LED Series offered by us is reckoned in the market for its optimum quality standards, and has helped us garner a rich clientele in the market. With the aid of a diligent team of quality controllers, we ensure that the LED lights manufactured by us are in conformation with international quality standards. 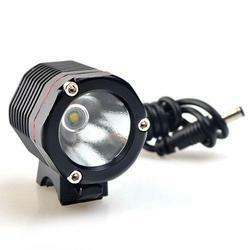 Under Water Light for Concrete and liner pools 12v/ 100 W. Revolutionary light for every kind of pools. Easy installation without niche, high temperature, corrosive resistance components. We offer resin filled pool lights with super bright LEDs. These lights are manufactured in compliance with 1P68 waterproofing standards with resin filled inside. Easy to install and operate, these lights are safe to use and are able to change 16 colors. These lights are used in swimming pools, public squares and fountains. 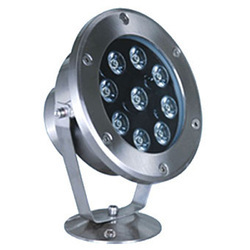 These lights are available in both plastic and stainless steel casing.